To say the last two years have been tough and tiring on the Buffalo Sabres and their fans would be a gross understatement. The team went all in during the summer of 2011 with hopes of becoming a legitimate Stanley Cup contender. However, those plans backfired, leading to the organization to give up on quick fixes, and enter a full-fledged rebuild mode. The rebuild saw core players from the team that won the Northeast Division in 2010 all traded away over time which resulted in, what former general manager Darcy Regier referred to as, suffering. Buffalo is in the midst of the longest playoff drought in franchise history, currently sitting at four seasons. Sure, that’s not that brutal to some (Edmonton and Carolina), but that’s a long time for a team that’s made the postseason during two-thirds of its time in the league. The team has been torn down to the bare minimum of what would qualify for an NHL roster with the sole purpose of investing in the future. 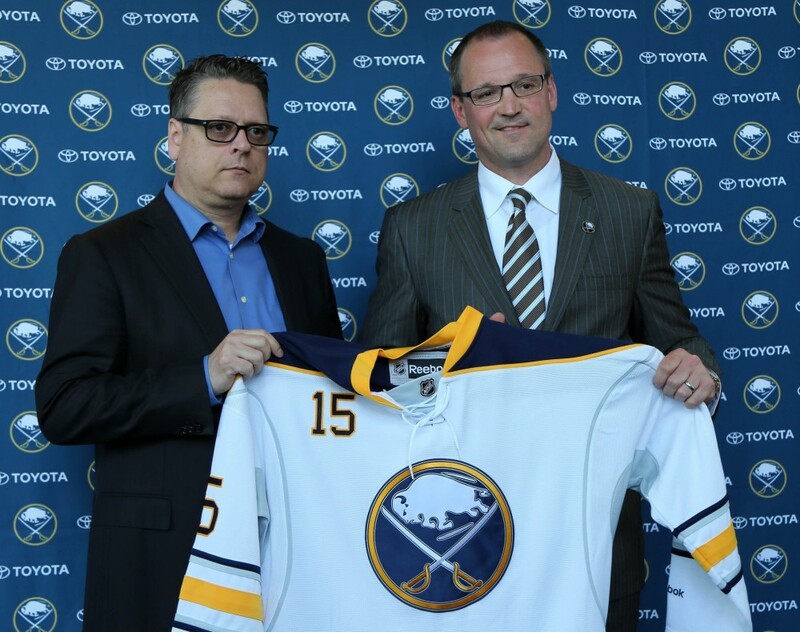 Those investments include top prospects Sam Reinhart and Jack Eichel, both of whom were taken with the second-overall selection in consecutive drafts. Partner those two up with the recent additions of Evander Kane and Ryan O’Reilly, and the Sabres could be a team that turns a few heads during the upcoming season. Oh, and don’t forget new head coach Dan Bylsma. The former Penguins coach was hired to lead the team into future due to his work with star players and his past success rate. His knowledge behind the bench should only prove beneficial for a young Sabres team looking to make a leap forward. *Kane was included due to not dressing for a game last season. Evander Kane – When GM Tim Murray pulled the trigger on the trade that sent Drew Stafford and Tyler Myers to Winnipeg for Kane and Bogosian, it signified that the rebuild was really on in Buffalo. Kane didn’t play for the Sabres at all last season, but he’s expected to be entrenched on the team’s first line this year. His natural ability to find the back of the net and make plays should provide whomever his linemates happen to be ample opportunities to rack up the points. 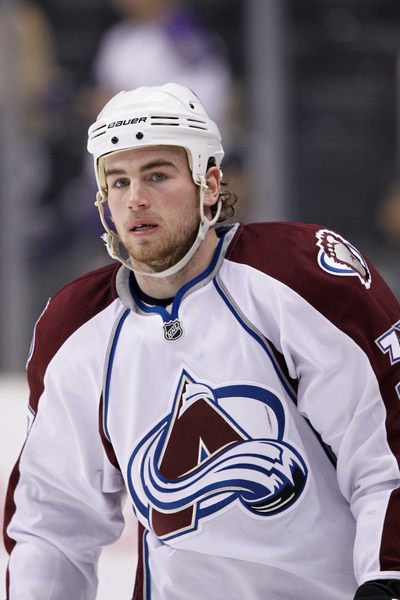 Ryan O’Reilly – Eichel aside, O’Reilly was the real big get for Murray in the offseason. 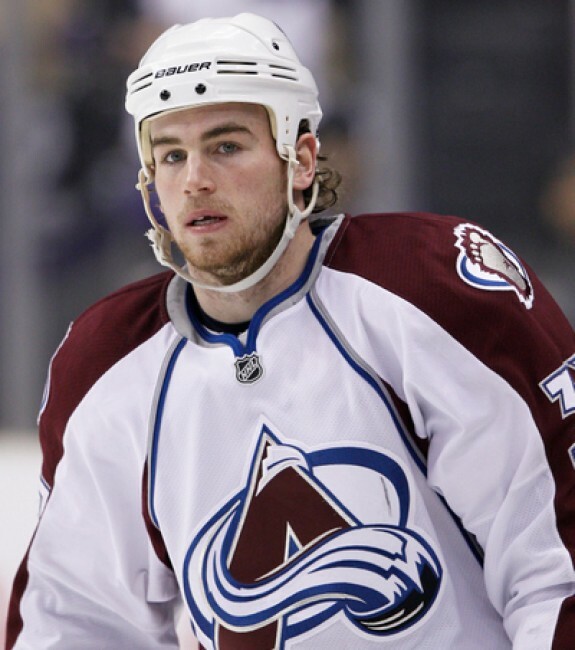 The richest man in Sabres history, O’Reilly will finally be given the opportunity to be “the guy” for a team. Bylsma already said that the 24-year old will be his top center when the season opens. Now it’s just up to him to produce at the level expected alongside Kane. Tyler Ennis – Ennis has been Buffalo’s best player throughout the breakdown of the team. He’s been able to put up consistent numbers with ever-changing linemates. This season, he’ll finally find consistency for the first time in his career, leading to the potential for even more production. If Ennis is a name fans don’t know yet, it’s only a matter of time before that changes. 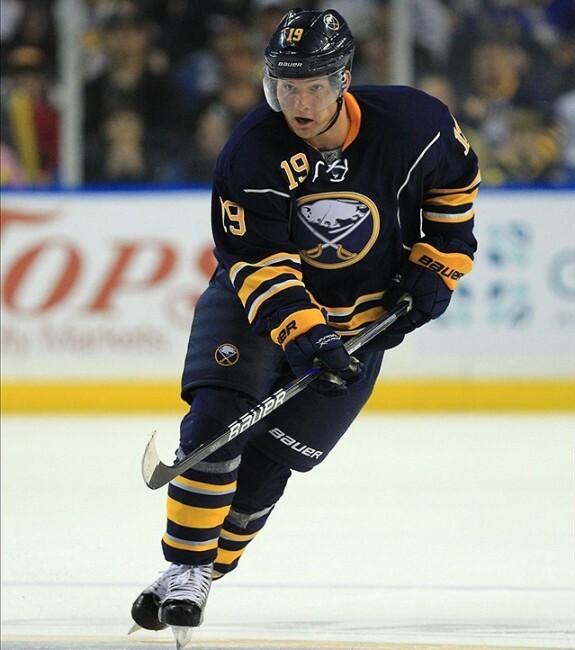 Zemgus Girgensons – Buffalo’s only All-Star from last year has built up a surreal fanbase in his first two seasons with the Sabres. Now entering his third full year in Buffalo, Girgensons is going to be expected to continue to improve in his play. He’s coming off a year that saw him score 15 goals and 15 assists. With that in mind, it’s not out of the realm of possibility to see him hit the 20-goal mark this season with better talent around him. Whether he’ll be a second-line winger or third-line center remains to be seen, but no matter the lineup placement, Girgensons is someone who will give 100% every shift. Rasmus Ristolainen – The big Finnish blueliner also enters his third year with the Sabres, and will find himself a part of the team’s top-line pairing. Ristolainen has shown the talent to become a cornerstone defensemen for the Sabres in the future. He’s another young player that should benefit greatly from finally having lineup consistency and talent around him. He had 20 points last year, but it wouldn’t be surprising to see him reach 40 this time around. Zach Bogosian – Bogosian came over from Winnipeg along with Kane back in February. In the short time he spent in the lineup, Bogosian showed the physicality that everyone expected out of him when he joined the team. He’s going to be a top-four defensemen for this team, but whether or not he sees time on the top pairing will be decided during training camp. Josh Gorges – The veteran of the group, Gorges is returning to the lineup after undergoing knee surgery back in February. This season is going to be a big test for the 31-year old as he looks to prove he still has what it takes to be a solid contributor to the team. His value both on the ice and in the locker room can’t be understated. As one of the leaders, he’s going to be relied on big time to help the young guys of the defensive unit when times, ultimately, get rough during the season. Robin Lehner – Lehner was acquired back in June from Ottawa to be the team’s starting goaltender going forward. Coming off a concussion that sidelined him last year, Lehner will be given the chance to be a number one goalie for the first time in his career. In his five-year career, Lehner has posted a 2.88 goals against average with a .914 save percentage. However, he has never even come close to seeing a full season of NHL goaltending duty. No doubt that 2015 will be to be a “prove yourself” type of season for Lehner. Jack Eichel – This is obvious. Eichel is going to be a Calder Trophy contender, and should prove to everyone why he deserves to be touted as much as he has over the past few years. He’s not going to be a top-line player for Buffalo this year, but it will no doubt be a coming out party for the Boston native. Eichel is someone who will not only produce 50-60 points, at least, this year, but will undoubtedly help make his teammates much better. Marcus Foligno – Foligno is entering his fifth season with the Sabres, and no doubt has a chip on his shoulder to perform at a higher level. His point total has increased with each year he’s been in the NHL, but that doesn’t mean he doesn’t have anything to prove this year. Foligno is going to be a part of the Sabres bottom six, but that shouldn’t mean anyone should expect anything less than a 10-15 goal, 20-plus assist season out of him. 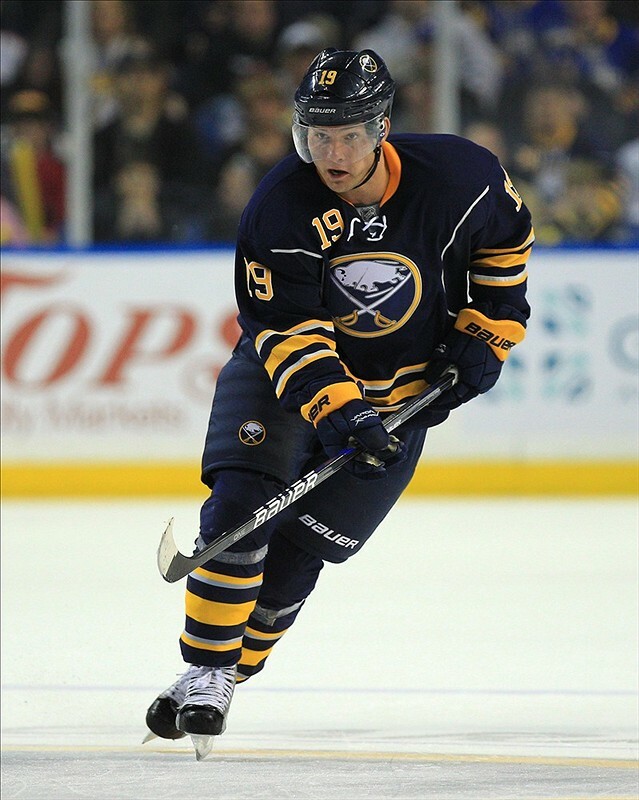 The third line of the Sabres is likely to feature a combination of Foligno, Girgensons, Reinhart and/or Brian Gionta. The talent playing with Foligno will play with is going to leave him with no excuses for not putting up career-high numbers. Every player in the organization clearly wants to be playing once late April and May roll around. If they didn’t, it’s hard to imagine them having a spot on this roster. Looking at the Sabres roster, it’s easy to see why some may think they have a real chance to make the playoffs this year based on their forward group alone. With a top six that includes Eichel, O’Reilly, Kane, Ennis, Reinhart and Matt Moulson, the offensive production by the team should be well above the last place unit from last year. That being said, there are still too many questions surrounding the defense and the goaltending to really think this team finishes among the top eight in the Eastern Conference this season. Can Lehner really be the guy in the crease for the Sabres? If he can, then Buffalo’s chances improve exponentially. Still, the more realistic view of the season’s finish should be around 10th-11th in the conference. Anything higher than that could easily be viewed as an over achievement. But, with Bylsma leading the way and a Calder Trophy candidate in Eichel suiting up, anything is really possible for the Sabres this season. No matter what the outcome of the year happens to be, there is a reason for fans to be hopeful for the future with the light at the end of the tunnel finally being visible.